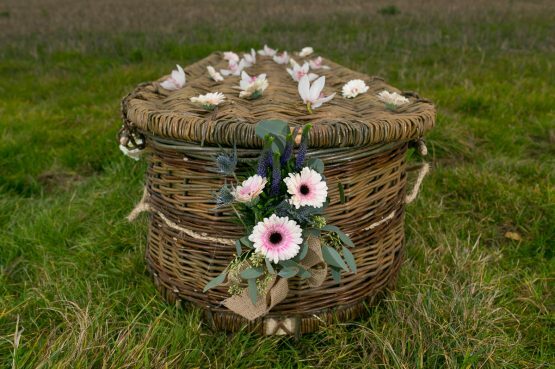 A totally natural wicker coffin – our most environmentally friendly wicker coffin style – chosen for its natural materials and green credentials, over time we have refined our natural wicker coffin designs to be completely biodegradable and sustainable. Our Green Willow Coffin is made from a combination of two natural willow varieties, the green stripes being Black Maul Willow (Salix Triandra) and the brown stripes Flaunders Red Willow (Salix Alba). 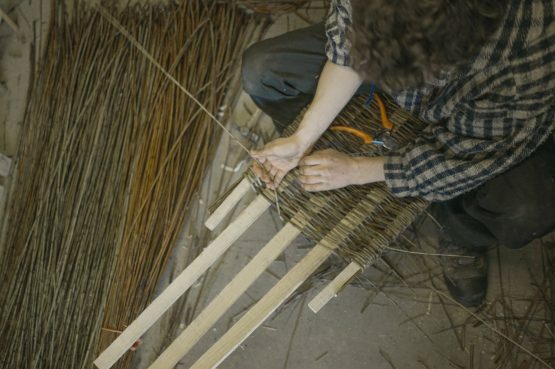 With our natural wicker coffins the scent of the willow is still present. We can also supply a hardboard cover for the base of your natural coffin (essential for cremation) and our own handmade nameplate for a small additional cost. Take a look at our other wicker coffin design if you like the more familiar ‘Basket Casket‘. Please get in touch for natural wicker coffin price information and availability. We do our best to be flexible, accommodating and sensitive to your needs with time-scales when making and delivering your casket. We are happy to deliver for free within a 10 mile radius of Brighton. This includes locations such as: Lewes, Haywards Heath, Ringmer, Worthing, Shoreham, Falmer, Burgess Hill, Hassocks, Newhaven, Seaford, Uckfield, Steyning, Ditchling, Lancing, Glynde, Henfield, Hurstpierpoint, etc. For nationwide delivery please contact us for a quotation. Have an idea or want something bespoke? 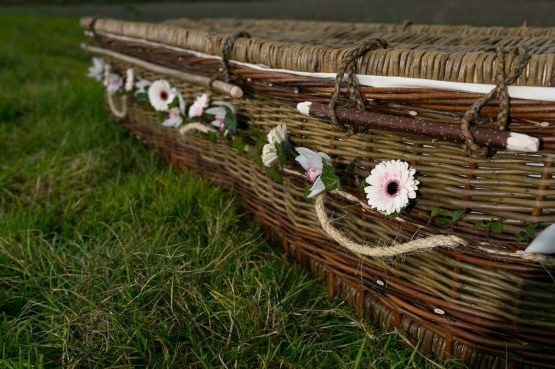 We are happy to hear about any ideas you have on customising one of our natural coffins, design alterations or specifications for a particular wicker coffin that you have. You may wish to include a significant piece of fabric into the weave, an item linked to fond memories could be incorporated into the design of the coffin, or you could even take part in the weaving itself if you like. Please feel free to get in touch and let us know about your requirements using the contact us page. 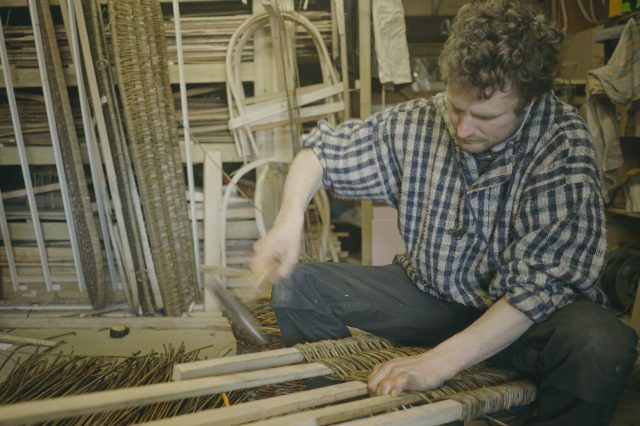 We use the long horse shoe shape for all our natural wicker coffin designs, because we believe that the beauty of a good wicker casket, is to recognise the natural shape of the body and character of the deceased. 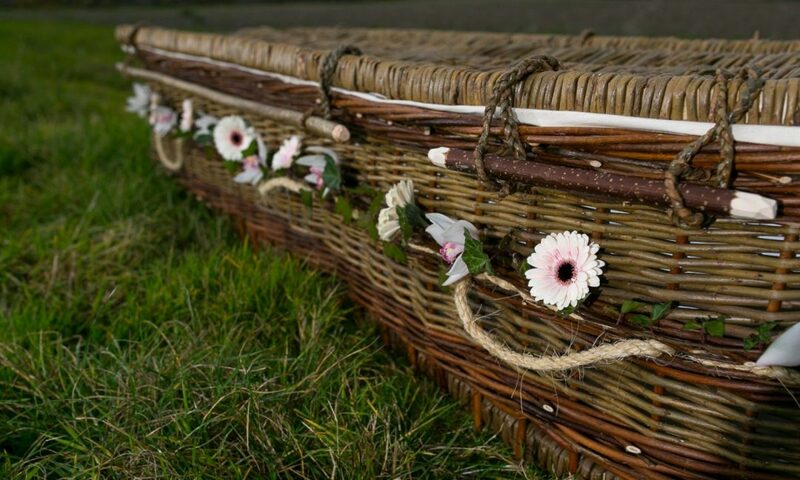 To find out more about our sustainable coffin designs, how to order and how to contact us follow the links below, or use the navigation menu at the top of the page. Lovely coffin - really easy to arrange on the phone and my family were extremely happy with it. Thank you. The coffin Jake made for my father’s funeral was utterly beautiful - like a work of art. And the service I received was excellent. I wouldn’t hesitate to recommend Jake. 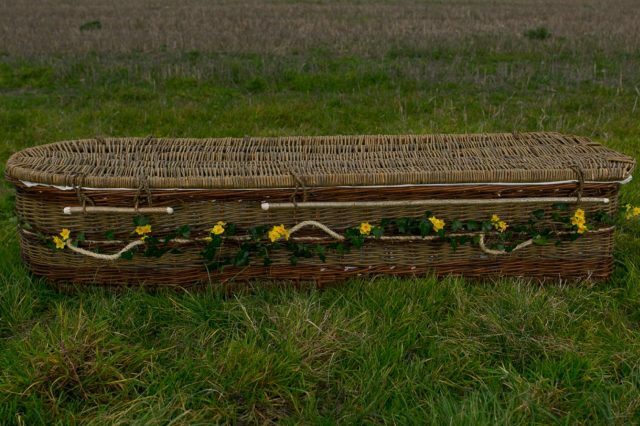 Looking online for a willow coffin for my Mum I was delighted to find a local maker - Sussex Willow Coffins just a few miles from me. I spoke to Jake and he was extremely helpful, it was a stressful time and he was very patient and understanding. He happened to have a suitably sized coffin at his workshop which he was able to line for me and was quite happy for me to come and pick it up in my estate car, this didn't faze him at all. 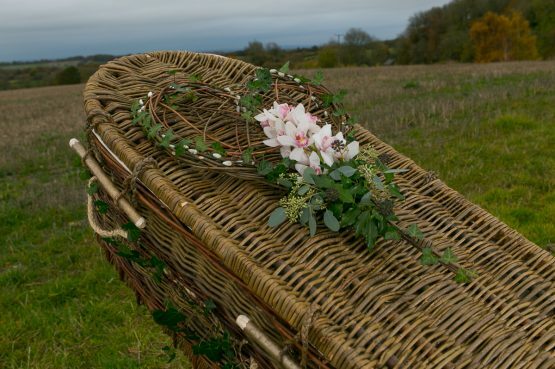 The coffin was really beautiful, we decorated it very simply with flowers from my Mum's old garden and I absolutely know it was what she would have chosen if she could have done. It was complimented many times, by the funeral directors as well as friends and family. It really couldn't have been better.